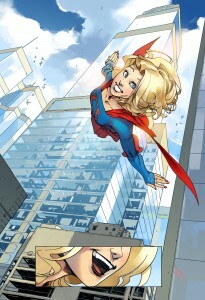 I’m a huge advocate of digital comics and I’m thrilled that the next thing coming from DC Comics will be a Supergirl series, written by Sterling Gates and with art by Bengal (for the first three chapters). Following Bengal’s run on the series, DC has Emanuele Lupacchino, Emma Vieceli, Jonboy Meyers and others lined up. The book is titled Adventures of Supergirl and it will be released in 13 bi-weekly installments and there are plans to have the series collected in trade form on August 9, 2016. 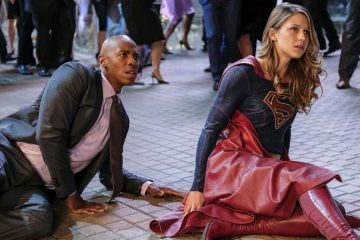 The timing makes me think that the higher ups at DC are happy with how Supergirl (the TV series) is being received by critics and fans. The comic will apparently be set in the continuity of the series but won’t be directly tied into what’s going on there. Even though that’s apparently the case, some of the villains set to make appearances in the comic book series include characters that we haven’t seen thus far such as Rampage, Vril Dox and Psi. The first issue will be available everywhere digitally on January 25, 2016.